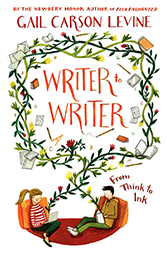 I’m back with another book about writing, picking up where Writing Magic left off. This how-to comes mostly from my blog, which is chock full of thoughts and advice about writing. I started the blog in 2006, and it’s turned into a writer’s advice column. Writing is complicated! We all have questions. (Me, too!) I share what works for me and what has gotten me into trouble. The topics I go into most are the biggies: character–-twelve chapters!--and plot–-eleven! For you fantasy lovers, characters include the kind we’re unlikely to meet at the supermarket: elves, dragons, fairies, and sorts we make up entirely, that no one will meet anywhere outside our pages. Prompts are back in this book, too, some the best I’ve ever invented, in my humble opinion! My fave may be the family road trip that goes horribly wrong. There are also prompts about making characters fall in like or love, creating villains, handling flashbacks and foreshadowing (like flash-forwards)-–prompts at the end of every chapter. The only part of the book that didn’t come from the blog is the section on poetry--eight chapters!--if you’re counting. One of them is called “Write Your Story a Poem,” which is great for adding variety to our fiction. Another is about telling a story in a poem, because poetry can do that, too. And did you know that there are lots of kinds of rhyme? Prompts here, too. If you’re a tad uneasy about writing poetry, I’ll be holding your hand. I adore poetry!